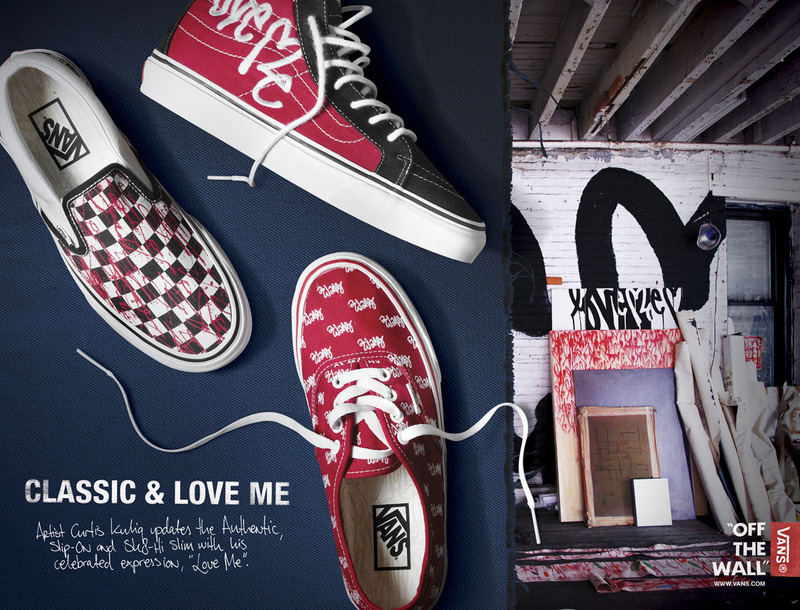 Vans has aligned with artist Curtis Kulig for a Spring 2013 collection of footwear featuring his signature “LOVE ME” motif. Walking the streets of Los Angeles, New York and Tokyo you’ll find two simple words sprawled across each city landscape, LOVE ME. Curtis Kulig, the artist behind the simple, yet powerful message, lives and works in New York City and is the latest artist to collaborate with Vans for our Spring 2013 Classics Collection. Having grown up skateboarding in North Dakota and wearing Vans since he can remember, Curtis collaborated with Vans designers utilizing the artful message for a three-piece capsule to hit stories February 1 just in time for Valentine’s day. LOVE ME is featured in three distinct looks on Vans Classics. The Vans iconic red Authentic is adorned with an all over embroidered LOVE ME while the Checkerboard Slip-On becomes the canvas to a paint splatter design. Finally, the SK8-Hi Slim, a women’s specific style, features an oversize embroidered LOVE ME on the side panel. 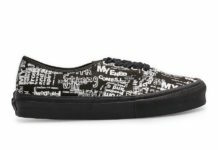 Meant to be open for interpretation, Vans and Curtis welcome the various meanings LOVE ME evokes and are excited to launch the collection worldwide this February. 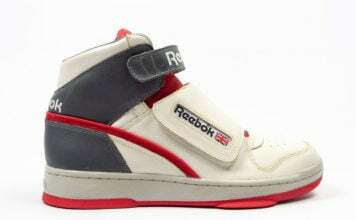 Vans will be hosting bicoastal events in celebration of this special collaboration. This Friday, February 1, Curtis will be hanging out at the Space15Twenty Urban Outfitters in Los Angeles with a curated LOVE ME pop-up and Polaroid exhibition. The night will feature DJ Sets from Aska from ESP and a special live performance by Sky Ferreira. Curtis will then head back to his current hometown of New York City on February 14 to celebrate the day of love at the Vans DQM General. Guests can look forward to a LOVE ME kissing booth, music, a Minx Nails x LOVE ME nail station as well as a signature neon LOVE ME sign at each event. If you can’t make the celebrations, you can send your special someone a LOVE ME message through the month of February with e-postcards designed by Curtis. Visit Vans.com/LOVEME to RSVP to your local event, send your Valentine a special message and to purchase your favorite style just in time for the season of love.